The holiday season is quickly approaching. Not sure what to get for the little ones on your list? Why not give the gift of sleep this holiday season? As a Child Sleep Consultant, I discourage parents from buying every new gizmo and gadget that claims it will solve all their sleep problems. There are, however, a few sleep staples that can make learning the skill of sleep easier. Here are my top 5 picks for giving the gift of sleep this holiday season. Who doesn’t love crawling into a freshly made bed? It gives us the feeling of warmth and relaxation after a long day. 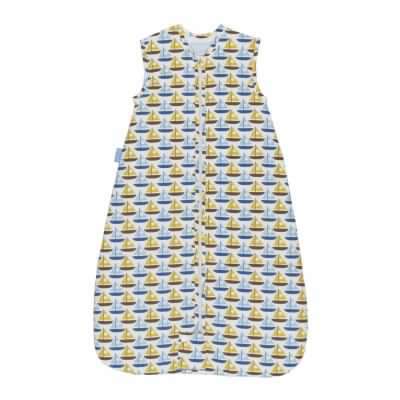 Give that same feeling to your little one by adding a sleep sack to Santa’s list this year. Because little ones are only placed in their sleep sack when sleep is coming soon, it provides a cue to your child that it’s time to prepare to go to sleep. Sleep Sacks eliminate the need for hazards in the crib, such as loose blankets and sheets, in addition to keeping your little one cozy through the night. Sleep Sacks range in both tog (weight) and price. 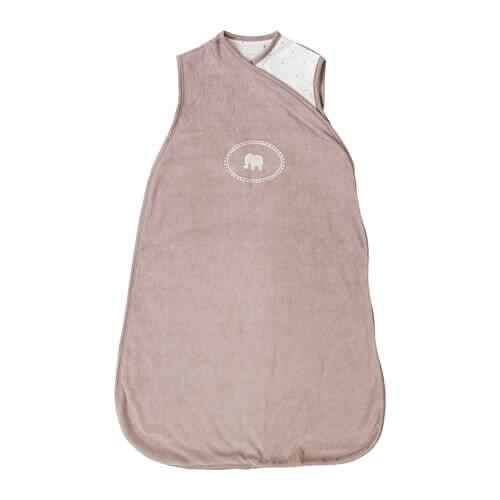 The Zipadee-zp is a great option if your child has just transitioned from a swaddle, the Gro Bag comes in various togs so your child will be comfy no matter the climate and Ikea makes a great budget friendly option as well. Give the gift of a longer nap or an uninterrupted night’s sleep to the little one on your list. I like to explain a sound machine to parents as ‘insurance’. Who doesn’t want a little insurance that the doorbell, telephone or a noisy older sibling isn’t going to cut a nap short or wake a little one just after they drift off for bedtime? When our children are learning the skill of sleep we need to create an environment that will allow them to learn this new skill as easily as possible. That’s where a sound machine comes in. It muffles out household noise, providing a constant tone and pitch. There are many options on the market for sound machines. 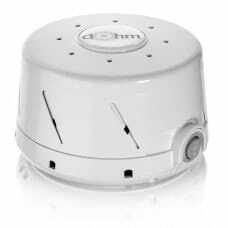 A favourite of mine is the Dohm Sound Machine. It doesn’t require batteries and its easy to pack for travel. Do you have a little traveller on your list? We can’t expect children to sleep well on the road if their sleep environment is totally foreign to them. Creating a sleep environment that is as similar to home as possible is key for sleep during travel. Many parents run into trouble when their older babies and toddlers, who still sleep in a crib at home, become too tall to sleep comfortably in a standard play yard. My favourite portable crib is the I’Coo Play Yard. It’s longer and slightly narrower than a standard play yard and easily fits an older toddler. It’s solid and easy to assemble. It even has wheels so you can pull it behind you like a suitcase through an airport, making travel a breeze. Make the transition from a crib to bed safer by giving the gift of a toddler bedrail to the little one on your list. A child falling out of bed at night is a guaranteed way to interrupt sleep for the whole family. Adding a bed rail helps both children and parents rest easy as your child makes the transition from a crib to a bed. 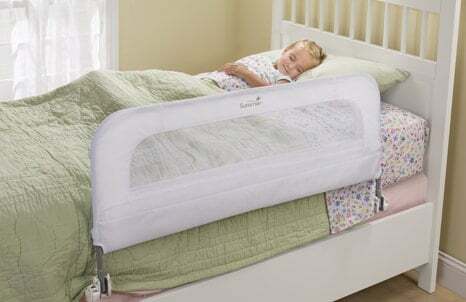 The Summer Infant bedrail is a favourite of mine because it folds down easily if you need to change the sheets during the night. The fold down feature also lends to easy packing if you plan to bring it along for travel. Give the gift of peace of mind with a video monitor. This technology allows parents to check on their little one without entering the room and disrupting sleep. A video monitor is especially helpful when your child is learning a new developmental milestone like rolling or pulling up to stand. Parents can better trouble shoot these sleep interrupters when they can determine why their little one is suddenly waking in the night. Once you can tell that your baby has learned to roll from his back to tummy and getting stuck on his tummy is waking him up, you can plan for working on this skill. Without a video monitor these sleep interrupters are more difficult to catch and therefore can take longer to work through. 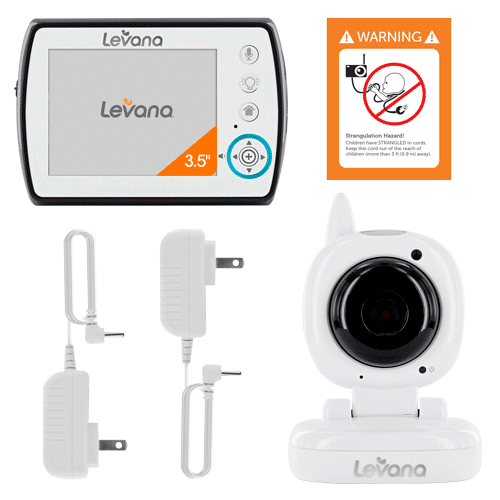 A great choice for a video monitor is the Levana Ayden Baby Video Monitor. I like this option because it has all the features you’ll need, you can add more screens as new babies join the family and the price point is reasonable. **I have not been compensated by the above companies to promote these products, they are simply the products that have become my favourites while consulting with families. 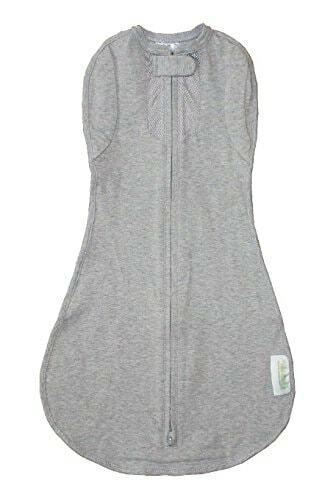 Yeah, I honestly don’t think you can go wrong with a sleep sack. Kind of wish they had them for adults. I am curious about sound machines though. Will babies end up relying on them too much as they get older?